nj arts maven: FILL YOUR CALENDAR WITH FUN EVENTS FOR EVERYONE! 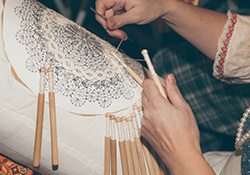 Watch the nimble fingers of the Lost Art Lacers of North Jersey as they perform the centuries-old arts of bobbin lace-making and tatting. Try your hand at bobbin lacing. Learn more here. 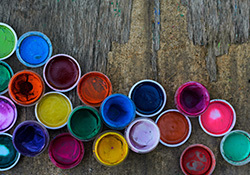 Be a scientist AND an artist as you use natural ingredients to create your paints. Check it out here. 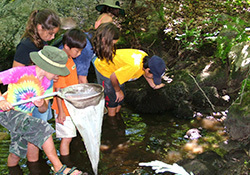 Learn where insects live and the signs they leave behind during an outdoor, hands-on insect study. Ages 7 - 10. Click here to learn more. 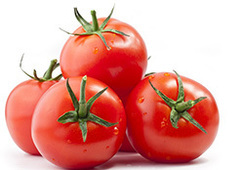 Harvest, taste, create art, and play games with the garden favorite, the Jersey Tomato. Ages 6 - 10. For more info, click here. 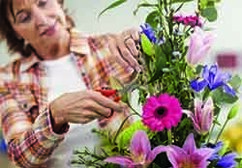 Enjoy an afternoon with Professional Floral Designer, Marge Hulstrunk, who teaches those with some floral arranging experience, but would like to hone their skills. She demonstrates several designs and you can make a topiary design arrangement to take home. Bring clippers and a box to carry your arrangement home. I want to learn more. 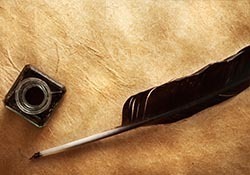 Join 2017 Honoree Artist, Emari DiGiorgio, in this craft talk and writing workshop to learn a brief history of the epistolary poem (the letter as poem), try your hand at two guided-writing exercises, and share your work informally. To learn more, click here. Come one, come all to the country fair with farm animals, wagon-rides, food, live music, crafts, exhibits, demonstrations, period games, wood-burning cook stove demos, and hands-on farm activities. This annual event attracts hundreds of people! Fun for the entire family. Check it out here.